Give them the gift of beauty and joy. 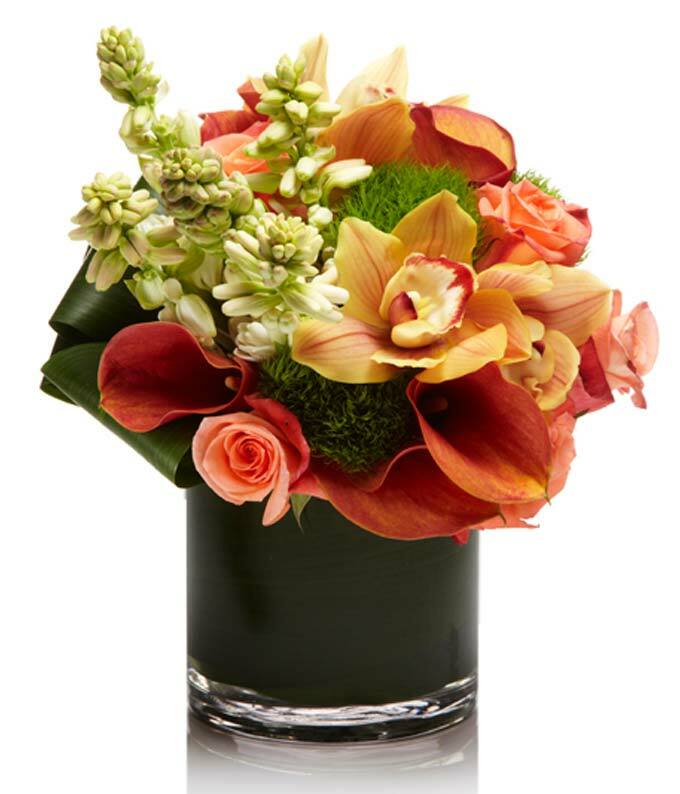 This bronze mixed arrangement of orange cymbidium orchid, bronze calla, coral roses, and apricot stock filled out with green trick dianthus make a stunning impression. Elegant, fashionable, and amazing. Make a huge impression with this beautiful arrangement today.